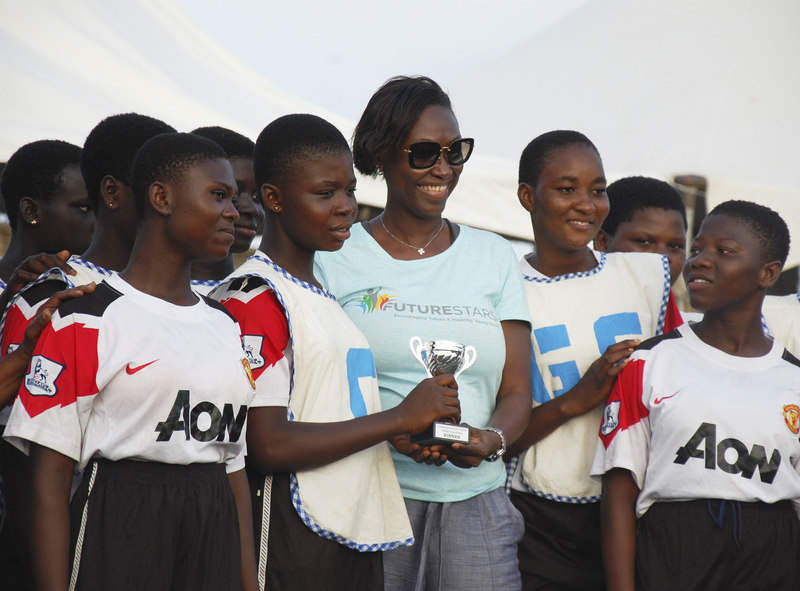 September 16th saw the 4th Annual Futurestars Festival of Sport take place in Tema Sports Stadium, Ghana. This year we were delighted to welcome former England Captain Terry Butcher along with ex-Newcastle & Ipswich defender and Futurestars Ambassador, Titus Bramble. Both players visited the five Futurestars partner schools and the football academies and took part in sports training sessions as well as the festival. Titus Bramble is staying on to work with the coaches and the children over the next few weeks in both Ghana and Togo. 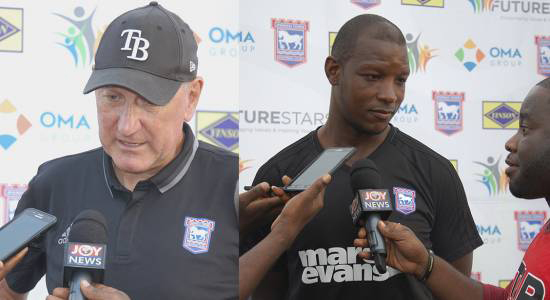 See the Joy News round up and interview with Terry Butcher here. A fantastic turnout at this year’s tournament saw the five partner primary schools (Baatsona, Community 7/1, Community 8/1, Rupublic Road and Twedaase schools) compete in football and netball tournaments and sprint races. The Academy teams – Futurestars Agoe, Togo and Futurestars, Ghana also played a close and exciting game that ended dramatically with penalties, the Ghana home team taking the Trophy from last year’s winners Togo. Community 8 school were the worthy winners of the School’s football tournament. In the new events this year, the netball tournament saw Twedaase school take the trophy after closely fought matches, Enock Agude (Twedaase school) and Constance Tetteh (Community 8 school), were awarded the trophy for Fastest Boy and Fastest Girl. The Goal King award was presented to Isreal Aseidu from Community 8 school and the prize for the best behaved school went to Community 7 school. The hotly contested adult tournament was won by the Ghana Education Services team (GES Meo Stars). Congratulations to everyone who took part. Boogie Band played an amazing set all day and children and adults alike enjoyed an excellent lunch and all day refreshments provided by Mayflower Catering Services. The event was well covered by the local media – CitiFM, CifiFMonline, Graphic.com and Joy News. 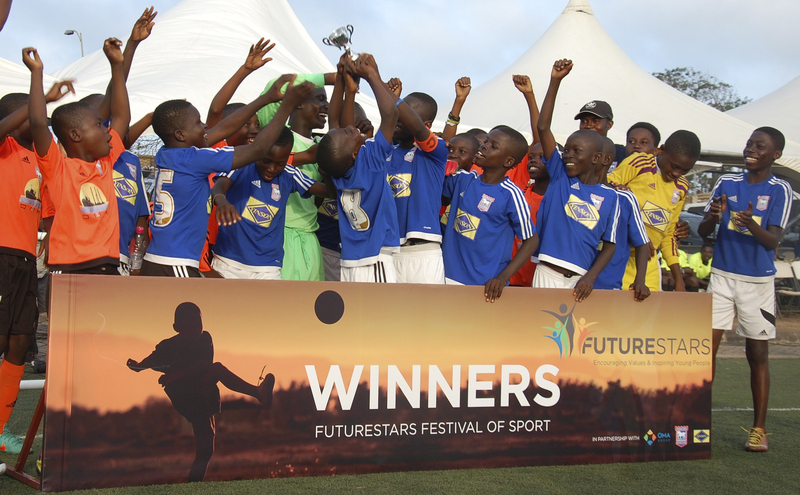 Futurestars is an education through sport initiative started in 2015 by OMA Ghana, Ipswich Town Football Club and Yinson Production working with five primary schools in Tema. Ipswich Town trained coaches are employed full time by OMA to work with the children offering PE, netball, football and sports coaching as well as small development academies in football and netball for children showing particular promise. Yinson have spear-headed a refurbishment programme at the participating schools. For more information please see the OMA in the Community section of the website.